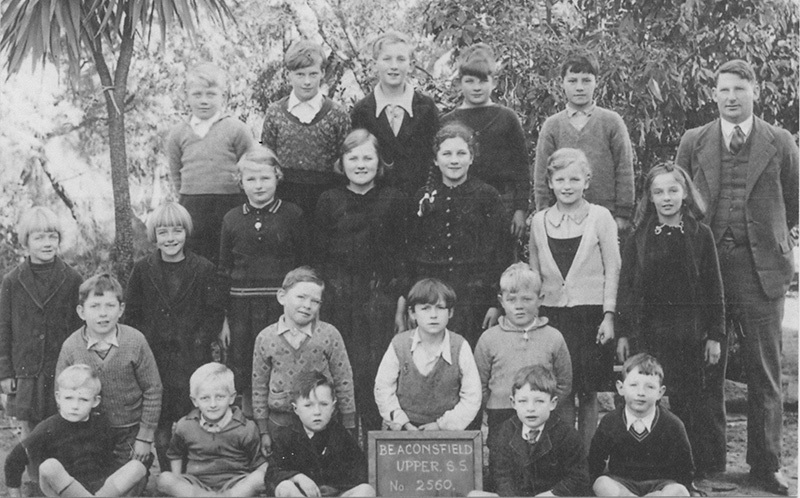 The first state school in Upper Beaconsfield was established in 1883 after years of lobbying by residents. The location chosen for the school was near the entrance to the Beaconhills Golf Links, and the main school remained there until 1915, when a new school was built at its present location. In the late 1880s some parents lobbied the government to establish another school which was closer to the present town centre, which would cater better to the children living on the southern side of the township. For a short time (1889-1891) this school was operating at the Upper Beaconsfield Hall (see article 'A school rediscovered' in the Village Bell June 2017 edition). 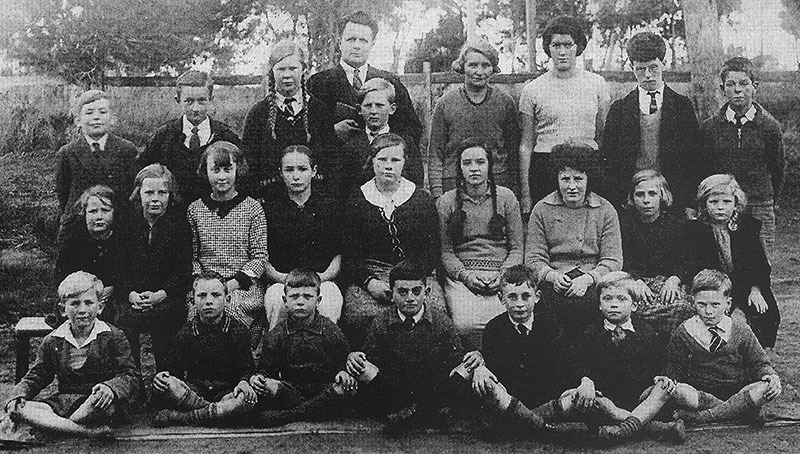 In the 1930s another state school was established in Dewhurst. There was also a private school run by Rev James Wilson at Casely for some years. 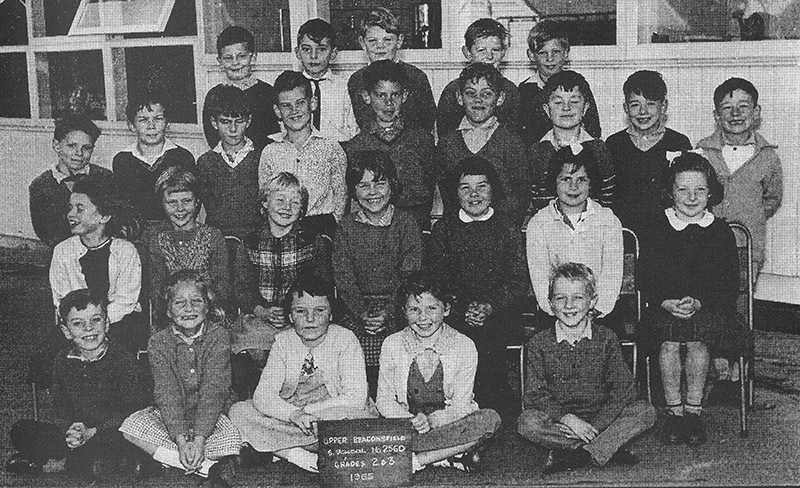 School and class photographs will be added as they become available. If you have any school photos you would like to share, please get in touch with me. Head Teacher (left) Mr Richard Higgs. Assistant Teacher: Miss Winsome Turvey.